﻿ Book Ocean Blue & Sand Resort - All Inclusive (Punta Cana) - 2019 PRICES FROM $164! Have a question for Ocean Blue & Sand Resort - All Inclusive? This all-inclusive resort set on the beaches of Bavaro is nestled among palm trees, offering an unforgettable vacation in Punta Cana. 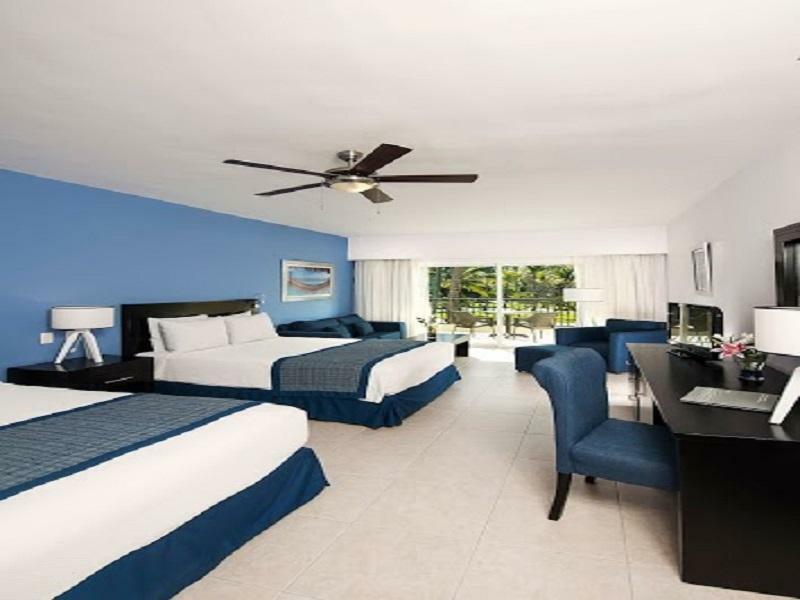 Ocean Blue & Sand Resort - All Inclusive is just steps away from the White Sands Golf Course and next to the Ocean Sand Resort, where all-inclusive services can be shared. Guests have plenty of activities to choose from, including snorkeling, windsurfing, kayaking, archery, tennis, and beach games. The climbing wall will appeal to the adventurous visitor. There are two buffet restaurants and seven a la carte restaurants to choose from, and 10 bars provide more than enough options to suit any mood. Ocean Blue & Sand Resort - All Inclusive promises fun in the sun for the whole family. 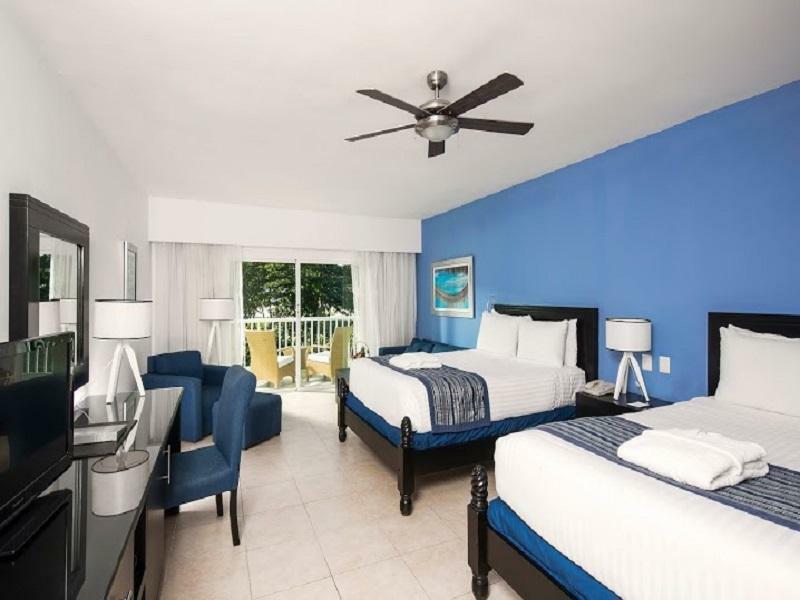 Ocean Blue & Sand is a very pretty resort with pretty good food, pretty good service and an overall very good value when I consider the $900 for 4 nights I was able to get. Very pretty place, especially the town type feel of the restaurant area. Mike’s coffee is excellent and the man and woman working there were friendly and gave great service. The buffet food was very good but I expected the restaurant food to be better although it was not bad. The entertainment group did a lot to get people involved although some of the entertainment was kind of boring.. My best advice to the top management at this resort: The patching and painting should be done by meticulous people because from I see, it’s being done by people that don’t care and over time this could lead to a poor appearance. Also, some of the service people were excellent, while others didn’t care. The last thing. If you get roped into the H10 premium presentation, tell them to keep it short. 3rd time on this resort I love it, everything is close they offer enjoyable nights, the staff is nice and the food is more than fair for the price you pay, the down side was the seaweed in the beach but that's not hotel fault, is just mother nature and global warming. I don’t think that I would go back here again the food was good my room was ok but needed to be upgraded. The television showed mostly Spanish there were 4 English channels which was the news. My trip started our very bad room was hot electricity was shutting off I was so tired had to move to another room. If I had to rate this trip I would give it a 10 because I had time with my daughter that was priceless, but the hotel a 3. This place need a lot of upgrades . A very disappointed customer. This hotel and restaurants it was amazing! Everything exceeded expectations - book it now! Uncomfortable because of heat and hard mattresses. We had a very nice Holiday- starting in the morning and ending in the night! The staff were very friendly and always laughing. The food in the buffet restaurant is very good but in the specialty restaurants is's great, best was Blue moon and steakhouse. Thanks to the Restaurant chief for his strong commitment. Also the animation team does a good job: the best were Minimy, Willi Wonka, Juan, Charly and his superpretty and cute Wilma (here greetings also to the sweetest baby of the world charlien!). We would definitely come again! The room furniture could use some updating, otherwise the equipment and the size is very good. Very satisfied and have already recommended to few of my friends. Fairy tale vacation!!! Was one of the best vacation I have ever had. Everything was as planned! Will recommend to friends! It was a very disappointing stay. A group of 12 of us came and spent a total of $5,000.00. We definitely did not get our moneys worth. My room specifically - room 9110 had a toilet seat that was broken; mildew on the mirrors; AC that wouldn't work well; Hair dryer completely out of its socket. They attempted to fix the toilet. They fixed the Hair dryer. Didn't do anything about the mold or air condition. 5 of My friends including myself arrived on Thursday February 27 at 3:30pm on the hotel. We checked in and went straight to the beach to get a towel. There were no Towels! On an all inclusive beach...no towels. Anyway, the next morning I went to complain to guest services of all the room and towel issues. They told me that I didn't "know the rule." They said that there was a towel break from 12-2pm. This didn't make sense because I went to get my towel at 3:30 or 4:00ish. Anyway he was not helpful and said that I didn't report it in time and that I can speak to manager at check in. The check in people said I needed to go to guest services. A big mess in communication and accountability. Anyway, after that I went to the beach and this time got a towel. however, the guy working there said that they are open from 7am-6pm all day, everyday with no break. The staffer lied to my face. I wanted to ask for a refund or report these incidents however I am in the United States and they are in Dominican Republic....what's the worst that would happen to them. We had no leverage. Finally, the all inclusive food was not so good. The main buffet area was decent, but it appeared that the restaurants on the campus basically used food from the buffet to serve you....whether it it was italian or mexican. The actual people on the hotel who were doing labor were friendly. But the admin staff was terrible. Very Very bad experience. I wish there was some way to complain to a manager, but they didn't let me or anyone in our group speak the manager. well i had a great time staying at the resort, staff were friendly and the food was good , ive been to other hotels but all i can say is that it was worth the money. i cant wait to came back. Muchas graciasa por su comentario. El personal del buffet principal es poco atento; pero fuera de esto muy buen hotel. Todos muy chulo, la pasamos super bien!